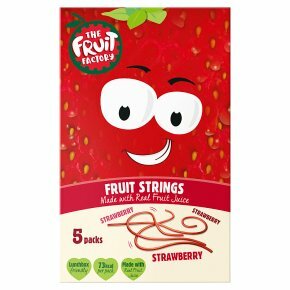 Gummy fruit strings made from a blend of strawberry juice from concentrate, sugars, gelatine and natural flavouring. Made with fruit. No artificial colours or flavours. Perfect for snacking & lunchboxes.